Digital print technologies and an expanding range of compatible media offer print providers a greater variety of point of purchase (POP) application possibilities. This week we continue our POP discussion with a print provider that provides POP product branding. For more Web-exclusive content, the latest news, and more, visit dpsmagazine.com. Follow us on Twitter and visit our website for the latest industry news. Also, check out our May digital edition. 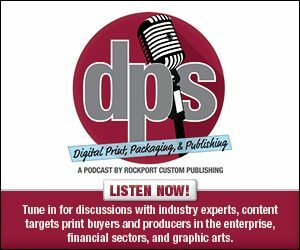 Print service providers (PSPs) continuously look for new markets to enter, strategically investing in equipment and consumables that support these segments. Often, creativity is the only limit to the possibilities of print.